My newest joy just arrived. Nope, sorry, but our baby boy is not due for another 5 months, but this new addition will certainly help when he arrives. I cannot contain my joy for the new camera. I have such high expectations since I have been using a Digital Rebel XT for over 4 years and have been a little hampered by it's limitations. 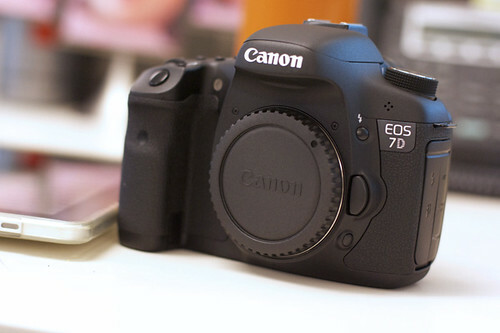 A lot of thought and research went into my final decision to get this 7D over the 5D Mark ii. I will say that I have a small nagging in the back of my creative brain that says " YOU SHOULD HAVE JUST GONE FOR THE 5D" but give the $$$ difference and the fact that I am not a studio photographer - mostly want to have a fast shutter speed to catch my daughter or dogs in their element, this was the best choice. I cannot wait to get shooting. my photo blog is over here if you want to start checking out what I am doing with some sweet glass.